18th February 2005 saw a day that many decent people had thought to believe may never come – the day that hunting with hounds was relegated to the history books. The North West Hunt Saboteurs Association (NWHSA), is an organisation that is dedicated to the saving of the lives of hunted animals. Whilst the 18th February marked a very special day, it did not signal the end of that fight. There is still much work to do to ensure that the hunters do indeed desist with their sick pastime, make the switch to drag hunting, or face the consequences of breaking the law. The police, due to enforce the ban, have been quoted as being doubtful that they have the resources to do so. This is a situation we do not accept, as after all, they’ve always had the resources to police our activities. The ban is workable, can be enforced and bring an end to hunting as we know it. And this is where the continued role of hunt saboteurs comes in. What now for the NWHSA? – Since the Hunting Act 2004 came into force hunt saboteurs have been out with local hunts as normal. Of course not all of our red-coated friends are quite so law-abiding, and we do know that some blatant infringements of the law are taking place. 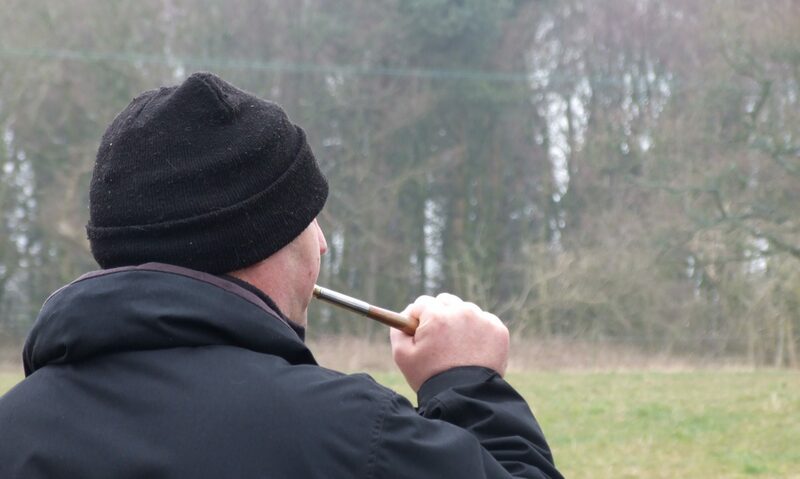 And it’s in cases such as these that hunt sabs know what constitutes illegal hunting, we know what those horn calls mean, or what riders are doing. This of course doesn’t mean that we won’t intervene to save the life of the hunted animal – after all that remains our sole aim as hunt saboteurs. Together we can ensure the end of hunting and so the NWHSA continues, and will do so until such time as we can honestly hold up our hands and say ‘job done’ in the battle against bloodsports. You can help us by joining, sending a donation or better yet by becoming active in the field. The North West Hunt Sabs need volunteers to work either as monitors in the field, gathering evidence against the hunts or to do the vital background work of fundraising, leafleting, etc. Without which no group can function. There will still be a hunt saboteur group near you who wants your help. Whatever your age, skills or experience, you will be able to make a crucial contribution. WANTED – Information on hunts, shoots, gamekeepers, where hunts are meeting, places, dates etc., people you suspect of being involved in bloodsports, anybody seen digging for badgers or foxes. Any information no matter how small could be of great use to us. If you can help please contact us at the above. If anybody wants to make a donation/set a standing order to help the group please contact us via the form below.